During my workation in Mexico, I had the chance to further improve my scuba diving skills. The kind people at Pro Dive Mexico accommodated a program that would allow a maximum of dives, while respecting the work schedule I had set. For the better part, that worked out nice. 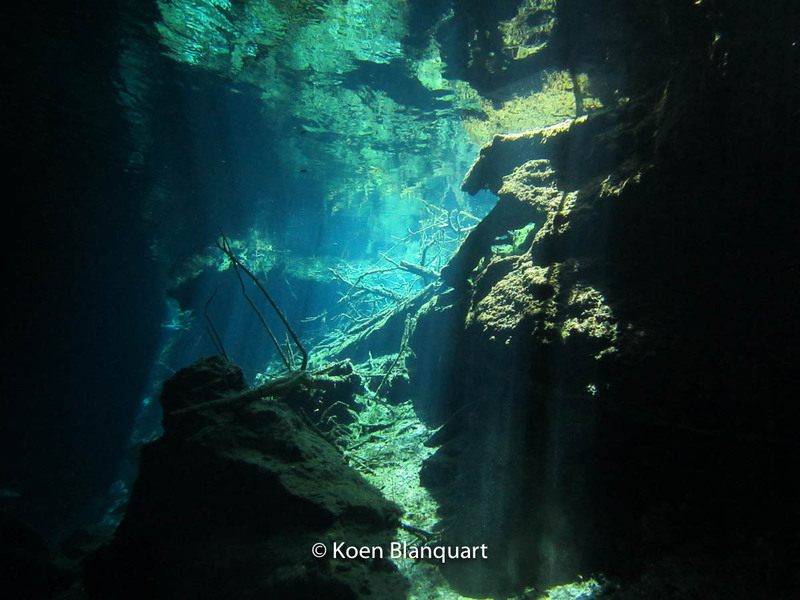 After a couple of days improving my diving skills, we programmed diving in the Cenotes. When you get to Yucatan as a diver, this must be on the program. Cenotes are sinkholes where groundwater can be found. Through the collapsing of the limestone, they become accessible. 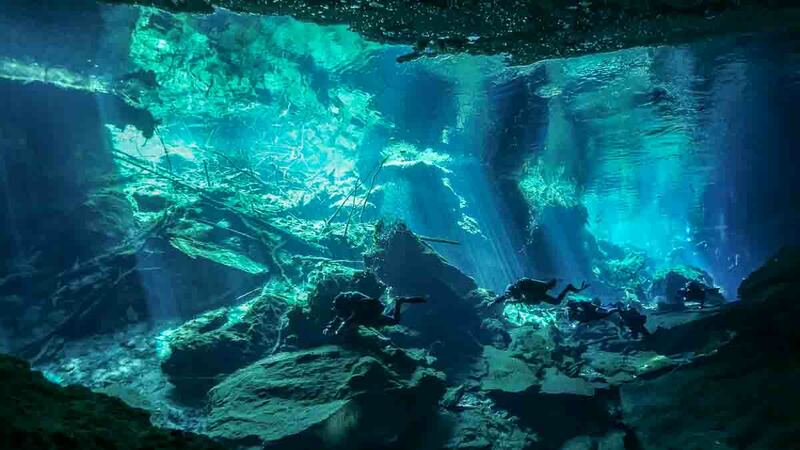 In Yucatan, Mexico, some of these cenotes are made available to dive in. Most diving companies have agreements with the owners of the caves. Best is to ask how many people are admitted in a day. The cave where I dove was busy, but the owners limit the amount of groups so it remains fun for all. Halocline is the effect when fresh water and salt water collide. All of a sudden, during the dive, the visibility becomes less than a couple of feet, and all is blurry. It’s an interesting phenomen, and actually pretty nice to dive in. Some people however can panic, as it seems to trigger some claustrophobic reactions. After the first dive, our group had a majority of people liking it, but some (even very experienced) divers said this wasn’t for them. The water in the cenote was about 24ºC/75ºF. A 5mm wetsuit was more than enough for two dives of close to an hour. If you have been diving before, and go with an experienced guide, this is absolutely worth a try. 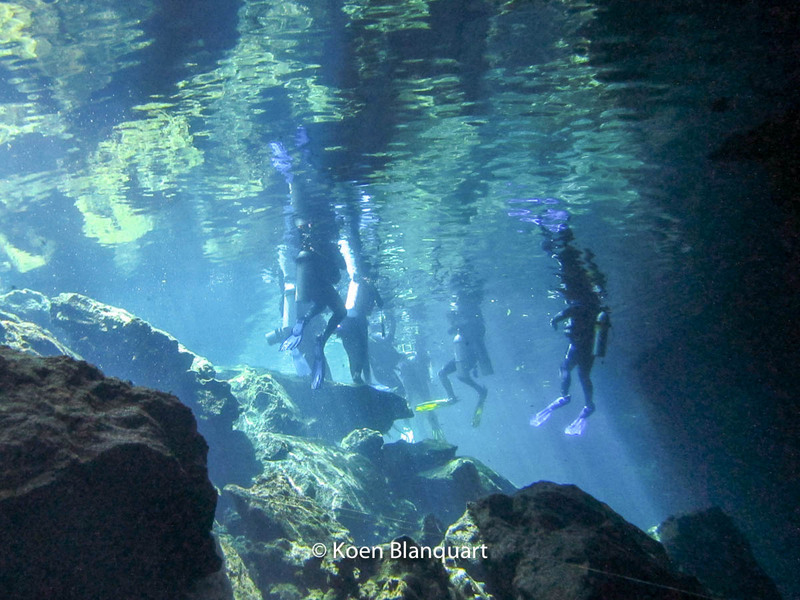 I’ll go back to the cenotes if I make it back to the Maya area in Mexico.